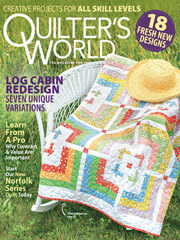 Looking for a quilting project to use up your fabric scraps? Transform them into useful pot holders. Use contrasting fabric to stitch this free quilting pattern to make them unique. Make a set of these quilted pot holders for a friend. They're perfect for a DIY housewarming or wedding gift. Your friend will think of you every time they use them!